The New School at Butterstone, near Dunkeld, told parents in an email it would close. MSP: John Swinney says he will work with the school. 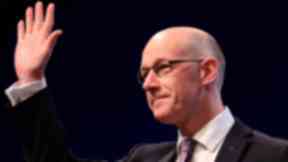 Trust: John Swinney says the responsibility for building confidence in the scheme is his. A school for children with additional needs in Perthshire is to close at the end of the week. Parents were told in an email on Monday that the New School at Butterstone, near Dunkeld, will shut its doors on Friday, blaming "increased costs and a reduction of income". The decision comes just days after a damning Care Inspectorate report which threatened to remove the school's registration unless it improved the safety and well-being of pupils by Wednesday. Parents of pupils from across Scotland now face uncertainty over where their children will be educated after Friday. In the email sent to parents and carers, Sir Andrew Cubie, chairman of the school's board of governors, said: "It is with the heaviest heart that I write to advise you that after 25 years The New School Butterstone is to close. "I realise that this will be a deep disappointment to you and your family. "Unfortunately in recent years the increasingly onerous requirements of operating in the care sector and the associated costs and resources has had a significant detrimental effect on the school finances and, as a small independent charitable institution, the financial impact has been particularly acute. "I will be working with the school and public authorities to support pupils and staff affected by this decision." "Regrettably the combination of increased costs and a reduction of income exacerbated an already uncertain financial position and has left the school in a situation that is now financially unviable." The school is in education secretary John Swinney's constituency. The Perthshire North MSP said: "I will be working with the school and public authorities to support pupils and staff affected by this decision." A spokesperson for Perth and Kinross Council said: "We were made aware on Monday November 19 of the decision by the board of The New School Butterstone to close with effect from Friday November 23. 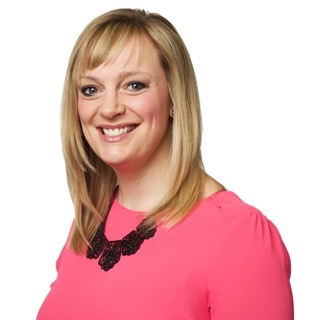 "Our focus is on ensuring that each and every one of the 13 Perth and Kinross pupils who attend the school have the right care, support and education to meet their need during this difficult transition. "We have contacted all the families concerned and will be working with parents and pupils to review their individual needs and understand the best alternative option for them." The school has 25 pupils on its roll and a further 55 children on its waiting list. Parents are calling on Mr Swinney to intervene and implement a plan to save the immediate future of the school while a long term future is found.